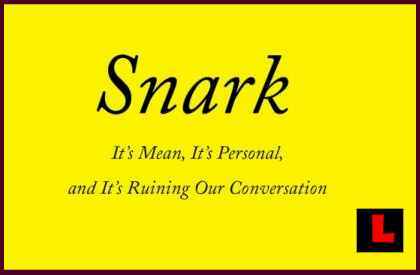 On the topic of knowing the difference between sarcasm and snark… I always found that sarcasm is easily lost and misinterpreted… maybe even interpreted as snark without the supporting vocal tone… the written word can be flat and open to the mood of the reader really. Someone was once snarky to YOU? I appreciate the fact that you pointed out the snarkcasm. I’m not the most observant person, and I might have missed it.